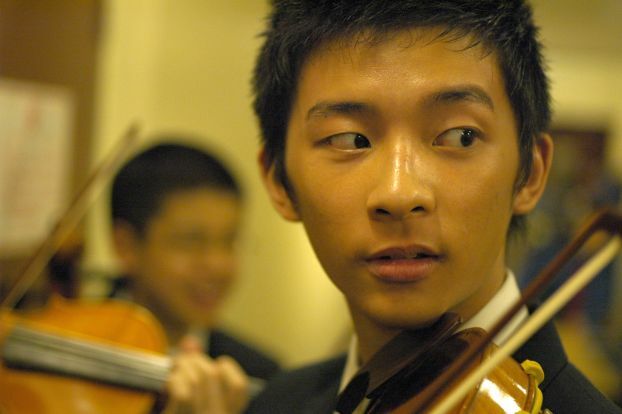 Wong Ka-jeng, the eponymous subject of KJ: Music and Life (2009). Note: This interview was conducted in English during the Hong Kong International Film Festival in Sha Tin, Hong Kong, on 3 April 2016. The author wishes to thank Esther Yau, Mette Hjort, Nicole Chan, Giselle Chan, and Winnie Ma for their generous assistance. 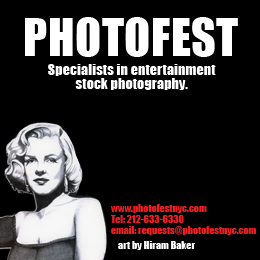 All photos appear courtesy of their copyright owner, Beautiful Productions Limited. Since his precipitous rise to prominence in 2009, Cheung King-wai has cemented his status as Hong Kong’s foremost documentary filmmaker. His breakthrough film, KJ: Music and Life (2009), prepared the way for a pair of intimate character studies – One Nation, Two Cities (2011) and The Taste of Youth (2016) – both of which explore individuals wrestling with existential questions and social realities. These films, along with Cheung’s debut documentary feature, All’s Right with the World (2008), display a set of signature virtues: a facility for navigating through different social strata; an interview technique eliciting emotional frankness; an undogmatic argumentative voice; and a deft, often experimental, approach to narrative form. In the same years Cheung has ventured into fiction filmmaking. Under the aegis of his own company, Beautiful Productions, he has written and directed a string of dramatic shorts, including Hill of Ilha Verde (2015), The Waves (2012), and Crimson Jade (2010). These films reveal Cheung’s ethnographic concern with Hong Kong’s working-class straits (drug addiction, teenage pregnancy, mental breakdown), as does his script for Ann Hui’s searing drama Night and Fog (2009), an unflinching portrayal of poverty, immigration, and domestic abuse. Cheung’s best-known film remains his second feature-length documentary, KJ: Music and Life. 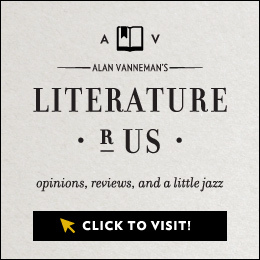 The story of piano prodigy Wong Ka-jeng (“KJ”) – a precocious, egocentric, but disarmingly sensitive youth – KJ juxtaposes its protagonist’s formative experiences at ages eleven and seventeen. (Cheung shot the film in 2002 and 2007-8.) Modestly budgeted at HK$90,000, KJ became the highest-grossing documentary ever produced in Hong Kong, screening continuously for eight months in local theaters.1 The film’s success (it also won major prizes at the Hong Kong Film Awards) is wholly justified: KJ is a remarkably poignant bildungsroman, subtle in implication and potent in emotional force. It is also formally adventurous. Flouting chronological narrative, Cheung shuffles time in nonlinear fashion, achieving a quietly virtuosic feat of editing. By toggling between time periods, KJ shows how present crises find echoes and causes in the past. Cheung’s crosscutting tactic also lays bare the film’s central themes: what happens to a child prodigy as he starts to grow older and his star dims? What happens when taken-for-granted gifts lose their luster, and intensified competition renders these gifts less remarkable? 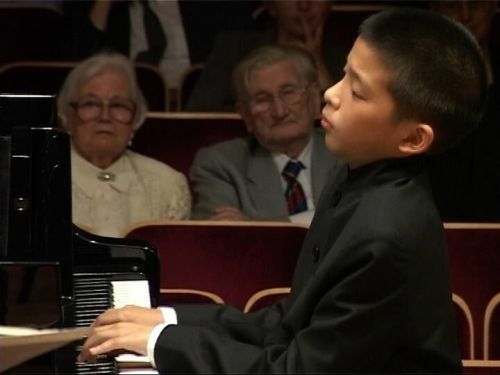 From this angle, Cheung’s documentary might seem to explore quite rarefied terrain – the plight of a well-to-do child genius – but at its heart are universal concerns regarding the fragility of family, the fallibility of mentors, and the essence of human nature, the latter a theme braided through Cheung’s entire body of work. KJ’s nonlinear structure also sets in relief a tacit social critique. As film scholar Mette Hjort notes, “Moving back and forth in time, Cheung [suggests] an argument, not only about KJ’s relation to music and life, but also about the impact of the competition- and exam-oriented approach to parenting and childhood that is a defining feature of Hong Kong life today.”2 If this private documentary yields public commentary, it does so by inference – KJ’s rhetorical meaning arises largely from its intercutting strategy. Such is Cheung’s trademark mode of argument. In all his films, Cheung’s stylistic approach reflects a personal distaste for polemical grandstanding and overt didacticism; hence he disdains authorial voiceover narration and onscreen performance, devices characteristic of politically strident documentary. The Taste of Youth deserves a place among a growing number of civically engaged Hong Kong feature films, even if it is ideologically subtler than (say) Lessons in Dissent (Matthew Torne’s 2014 documentary about teenage activist Joshua Wong and the local pro-democracy movement) and Ten Years (a fictional account of Hong Kong’s future that became a cause celebre in early 2016). Like these films and Cheung’s own One Nation, Two Cities – which alights on the right of abode, the legacy of the Cultural Revolution, and China’s one-child policy – The Taste of Youth examines contemporary Hong Kong existence in the context of Mainland China, obligatory for any serious study of present-day Hong Kong society. Still, Cheung subordinates this large canvas to the individuals at the heart of his film. By means of the personal documentary form – that is, by exploring the lives of particular human beings – Cheung’s ideological point of view comes discreetly to the fore. This modus operandi not only differentiates Cheung from his peers; it distinguishes him (alongside his mentor, Ann Hui) as one of Hong Kong cinema’s most humanistic and socially conscious filmmakers. GARY BETTINSON: In films like A Taste of Youth and KJ: Music and Life your youthful interviewees are highly contemplative and candid. How do you approach the interview situation? CHEUNG KING-WAI: I usually begin by asking very general questions: What is your name? How are you? How do you feel about your performance in the concert? But eventually I challenge the subject to go beyond superficial answers. For example, during the filming of The Taste of Youth, I asked Hua Hua [a sixteen-year-old from Mainland China] about his career aspirations. At first he answered: “I want to be a flight attendant.” But I delved deeper, and he revealed that he actually wants to be a pilot. And by the end, he admitted that he wants to be a movie actor. So, I always challenge them. I don’t take things at face value; I won’t settle for the surface, superficial answer. Usually an interview will last for five or six hours, from 10am to 4pm. Six hours is a long time for a young person, and it can be physically uncomfortable for them. For instance, in The Taste of Youth, Nicole [a nine-year-old musician] would constantly ask me, “Are we done filming? Are we done yet?” because the microphone pack strapped to her back caused her discomfort while sitting. Anyway, I pick a topic and then I let them talk. On all my films, I don’t try to drive the conversation in any particular direction. For example, suppose I wanted to criticize the government. If the interviewee doesn’t tell me something bad about the government, then I will become anxious; then I will try to force her to criticize the government; and then she will feel that I’ve put words into her mouth. No. When I enter any interview situation, I always tell myself to relax – because if you are not relaxed, you will miss something – and to receive whatever they want to say. Let them tell you what they want to tell. I never coax or lead or rehearse my interviewees. I think this kind of approach is risky for my investors. I cannot tell them [in advance] what the film’s “message” will be. But I always work this way. My camera leads me. My camera explores the world for me. I don’t presuppose anything. The Taste of Youth and KJ: Music and Life seem to imply a connection between the young protagonists’ musical training and their proclivity for deep introspection. Is their philosophizing a direct corollary of your probing interview method? Or do you think that musicians are particularly inclined to think deeply about existence? I was a Philosophy major, and I’m still very interested in philosophy. So I’m naturally interested in asking my subjects deep questions. But I think everyone is questioning their own lives. Many grown-ups who watched KJ told me, “When I was young, I had the same thoughts as KJ.” What we have to ask is: Why, when we get older, don’t we think the same way anymore? Do we lose our individuality? Many young performers are too rehearsed. I often watch The Ellen DeGeneres Show, because Ellen sometimes invites young boys and girls below the age of ten to perform music. She cares about minorities, so she always invites ethnic children and black children from all over the world. And she invites Chinese children too. I’m a cellist, and I can tell from the way they perform music and talk in interviews that they have been rehearsed. They play the piano like Yang Yang – they imitate him. They’re not being themselves. This is a very serious problem not only in Hong Kong but also in China and Taiwan. We must trust children and allow them to be themselves. They will surprise you. The younger they are, the more they respond from their heart. They will answer you with something surprising. Yet, often in education we don’t trust them – we simply rehearse them. And then we kill their creativity. We kill their real selves. 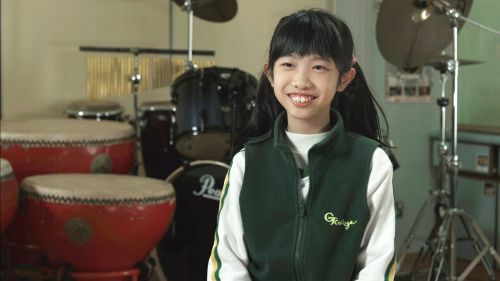 The young piano prodigy in KJ: Music and Life (2009). KJ always thought differently to everybody else. Even now [at age 25] he thinks differently. He came back to Hong Kong after completing his degree at Indiana University in the US. He has his own music lab in Hong Kong, and he’s doing very well. Whenever he holds a concert, it is very difficult to get tickets – he always performs to a full house. KJ still thinks about things in a unique way, but a lot of young people lose their individuality when they become grown-ups. The Taste of Youth focuses on nine youths, while KJ: Music and Life and One Nation, Two Cities focus centrally on an individual (while providing access to key figures in the subject’s orbit). How do you select your protagonists? When I began The Taste of Youth I had thirty teenagers to choose from. In only three weeks’ time they were all going to be performing a concert. So I had to select my subjects before the concert, because I must set the camera to film them during the concert performance. In those three weeks, I relied on my intuition, my experience, and my powers of observation. I would notice, for example, Nicole, and say, “Let me talk to her.” I’d ask her some general questions: Where do you live? What does your father do? And I would start to form a picture of her. I interviewed a lot of these teenagers. Gradually, from those thirty people, I narrowed it down to nine people. (Actually, the first so-called final cut of the film had ten people, but I reduced it to nine.) Anyway, I always work very much from my intuition. At the start I look at a person and I feel something. Then I will take my camera and interview them. Mostly I like to film people. I’m interested in people a lot. So far in my career, I have been making “people” documentaries. I like to take photographs; but I’m not very interested in the landscape – I prefer to film people. Nicole, a prodigious ten-year old, waxes philosophical in The Taste of Youth (2016). I want to emphasize something about my interviews and subjects: When making a film, I believe that it is very important to look at your subject at the same level. You don’t need to look up to them with great respect. When I filmed KJ over a six-year period, I always treated him as a teenager, not as an exceptional talent. The audience says he’s a talent, but when I was filming I regarded him as an ordinary teenager who plays music quite well. That’s important – teenager first, not talent. Similarly, I often focus my films on poor and underprivileged Hong Kong people, but I don’t look down on them. When I was making All’s Right with the World, I was not thinking that my subjects are poor or miserable or that the government didn’t help them. No, I was more interested in how they find the fun in their lives despite the struggles they confront. I am interested in them as human beings. So I always look at my subjects at the same level; I always treat them as being the same as you and me. Cheung King-wai (center) directing All’s Right with the World (2008). You remain off screen throughout your documentaries, though occasionally your voice is heard from behind the camera. You also reject the option of authorial voice-over. What is the rationale for these choices? I’m not very interested in showiness or show business, red-carpet public events and things like that. That’s why I like Terrence Malick – we never see his face. I don’t like to be on screen, and I believe that the film should speak for itself. Of course, it would not be honest of me to say that I am one hundred percent objective. Yet I always believe that the film itself – the footage – will tell a more interesting story than my words can. If I have to rely on my words to create meaning and interest, then I am not a good director – I should write a speech or a novel instead. Appearing in front of the camera is really not my style. Sometimes you can hear my voice from off camera, but that’s too bad. I cannot cut it! In downplaying your own presence, are you also trying to encourage the audience to form their own interpretation of the material, rather than imposing a point of view on them? Absolutely. Good question. People always ask me, “What do you want to influence people to think?” But I think that agenda-driven documentaries make the documentary medium very boring. I am not an activist. I’m not preaching any ideology or religion. I consider myself more of a storyteller. People ask me, “What is the lesson of your documentary?” The lesson is the audience’s interpretation. Not even my interpretation. A good story is very mysterious. Abbas Kiarostami is a good storyteller. Like Someone in Love (2012) is very interesting, because it departs from traditional A-B-C storytelling. I like Ozu Yasujiro for this reason too. And Shohei Imamura, whose films always talk very deeply about human nature. So I consider myself a storyteller. But I respect many ways to make a film. Some filmmakers make documentaries in order to promote certain things, such as freedom of speech. They are activists first, storytellers second. I enjoy a lot of Michael Moore’s films, but it is definitely the case that before he makes a film, he has a certain agenda that he wants to promote. Whereas I am more interested in telling a story. Cheung shooting his fictional drama Crimson Jade (2010). The editor of a documentary film is like a scriptwriter. The shooting is like doing research, collecting evidence. And the editor is the scriptwriter who gives form to the footage. But what is more difficult for a documentary editor, compared to a scriptwriter, is that he has a moral requirement to his subject. When I’m filming a person, I must have a positive interest. You can be interested in someone, right? But it could be negative. Recently I listened to an Oliver Stone interview. He talked about making W. (2008). Actually, Stone doesn’t like Bush. He doesn’t like Nixon. But he tried to put himself in their shoes. Those are examples from fiction film, of course, but still, they are instances of Oliver Stone’s negative interest. But, for me, when making a documentary film, I must find some positive things in you. Does that mean you have to like your subjects? I think about this question every day. What is the relationship between the filmmaker and subject? That is the most unique relationship. You must be a good friend to these people. With KJ, we get together and he talks about his ideas. We can talk. It doesn’t mean that we love each other so much. You probably cannot make a good film if you love the person, because your film will be biased. I like you, we are friends, and I will always protect you. But what if I make a documentary film about you, and I find out something about you that is not so good? I have a moral requirement. I must tell the truth. Even though I’m making a personal documentary film, I must tell the truth. I have to preserve my integrity. Cheung’s latest documentary feature, The Taste of Youth (2016). Does a conflict ever arise between that need for integrity and your loyalty to the subject you’ve befriended? If I look at you and I see ten layers, even in a fiction film I cannot show all ten layers. It would be too dark. Human beings, by nature, are so dark. You will lose a lot of the audience if you really show a person in great depth – even in a fiction film. With documentary you can show even less; the second or third layer is as deep and dark as you can go. Because of what the audience will accept? No, not in the case of documentary. In a fiction film, you can show only seven or eight layers of a human being – any more than that and the audience cannot accept it. In a documentary, you can show only two or three layers of the subject – if you show more than that, the subject cannot accept it. I always consider the feelings of my subjects, especially during editing. How much of themselves can they cope with seeing on screen? It is my moral requirement to think about this. Somehow I must calculate how the subject will react when looking at themselves on the screen. Will they feel uncomfortable? I am protective of my subjects, because many of them are very young or socially disadvantaged. Once, I interviewed a teenage girl from Hong Kong. She talked openly on camera about aborting her child. She gave me permission to use the footage, but I decided not to. In Hong Kong, it is a taboo to openly discuss teenage sexual activity and abortion. If I had included this scene in a documentary, it would have harmed this girl socially for the rest of her life. There are lots of instances like this. KJ told me a lot of things, but I cannot show you everything he said. In documentary, we can only show very few layers of a human being. 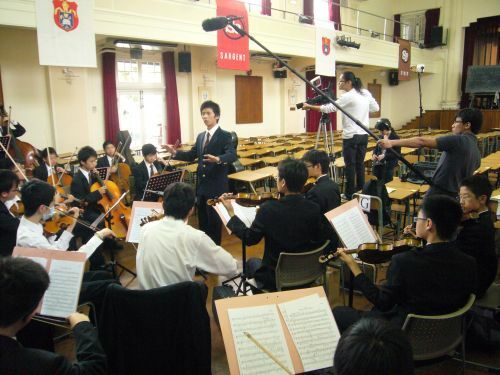 Filming KJ: Music and Life (2009). I have to preserve my integrity. I have to tell the truth and I must not abuse the trust from my audience. And I also must not abuse my relationship with my subjects. I never do anything harmful or misleading. With a documentary film, there is a live person at the center, somebody who has a real life to return to. This is something I must think seriously about; it is my responsibility. That is the difficult part of making documentaries. This kind of self-censorship perhaps accounts for the ellipticality and irresolution that one finds in your documentaries. For instance, KJ: Music and Life leaves several matters unresolved, not least the reason why KJ’s mother is absent from the film. I filmed KJ’s mother; I have some footage of her. People ask me the same question about One Nation, Two Cities: “Why weren’t the main woman’s parents interviewed in the film?” I do have my integrity principle, as I told you; but, again, I am a storyteller. If I make a documentary about you, I don’t necessarily have to film your wife, your girlfriend, and everybody that you are involved with. I must make sure the story is told, but I must also tell it well. It has to be interesting. I did film an interview with KJ’s mother, but it was not very interesting. I cannot just bore my audience – I have to serve the story, and then the story will serve the audience. So this is the reason why KJ’s mother is not in the film. I can film all the various people in KJ’s life, but, as with a fiction film, when it comes to editing I have to cut out some characters or some storylines. When editing KJ: Music and Life, I had to ask: does KJ’s mother have a crucial effect on the story? And when I compared the role of KJ’s teachers, his siblings, and his school friends, I found that they were more significant to the story than KJ’s mother. In fact, not including the interview with her actually created a mystery. Like I said before, good storytelling is mysterious. What if I never show KJ’s mother? Or if she is only in the background of the shot? Or if she is only present off screen, like in a Kiarostami film? So I always think about how to create effective storytelling rather than trying to show every aspect of the subject’s life. You’ve been working as a professional filmmaker for almost a decade now. How would you evaluate your development and position within the industry? So far in my filmmaking career, I don’t have to think what the boss tells me to think. I’m so lucky. I’m so-called independent. Some people in the industry say to me: “You are never challenged by the market – you are not a real filmmaker yet.” But that’s OK. I’m lucky. I’m making my first fiction film now. It is called Opus 1, and it’s about human nature. I believe that somehow man is born good; I believe that we have something innately good in us, and the film addresses this idea. In fact, I think this issue is one of the two most important things for a filmmaker – how you look at the world. How you understand human nature. The second thing is cinematic, that is, how you edit the film, how you find the rhythm, how you employ the camera and the lighting, and so on. If you have command of these two things, you can make any kind of film – a documentary or a fiction film or whatever. With these two elements – the way I look at the world and my cinematic knowledge – I try to make a film. I don’t see fiction filmmaking as a “progression” from documentary filmmaking. I don’t believe that one must make fiction films in order to be a more accomplished filmmaker. But I do feel that I have progressed during the past ten years. You progress by making films of any kind, not by schooling. By doing. I feel I am a better filmmaker now after making Opus 1. I understand more now. Aitken, Ian, and Michael Ingham (2014), Hong Kong Documentary Film (Edinburgh: Edinburgh University Press). Hjort, Mette (2012) “KJ: Music and Life.” In Gary Bettinson (ed. ), Directory of World Cinema: China (Chicago & Bristol: Intellect/University of Chicago Press), 216-17. Gary Bettinson is Senior Lecturer in Film Studies at Lancaster University in Lancaster, UK. He is the author of The Sensuous Cinema of Wong Kar-wai: Film Poetics and the Aesthetic of Disturbance (Hong Kong University Press, 2015) and chief editor of the journal Asian Cinema.